Ambu® AuraGain™ (AG) (Ambu, Ballerup, Denmark) is a supraglottic device which has a design facilitating its use as a conduit for intubation. A recent study was performed by doctors from Department of Anaesthesiology, Lokmanya Tilak Municipal General Hospital, Lokmanya Tilak Municipal Medical College, Mumbai, Maharashtra, India to assess the ease of AG placement in paralyzed patients, determine its position and alignment to the glottis and assess its utility as a conduit for intubation. One hundred patients, aged 18–60 years, American Society of Anesthesiologists physical status I–II, undergoing elective surgery under general anaesthesia were included in the study. The ease and number of attempts for successful insertion, ease of gastric tube insertion, leak pressures, fibre-optic grade of view, number of attempts and time for tracheal intubation, time for AG removal and complications were recorded. The mean, standard deviation (SD), interquartile range (IQR) and range were calculated. The upper limit of confidence interval for overall failure rate was calculated using Wilson’s score method. Doctors Devangi A Parikh, Ruchi A Jain, Smita S Lele, Bharati A Tendolkar, from Lokmanya Tilak Municipal General Hospital, who performed the study, found that AG was successfully inserted in all patients. The mean (SD) time taken for insertion was 17.32 (8.48) s. The median [IQR] leak pressures were 24 [20–28] cm of H2O. Optimal laryngeal view for intubation was obtained in 68 patients. Eighty-eight patients could be intubated in the first attempt. Five patients could not be intubated. The overall failure rate of device was 9%. 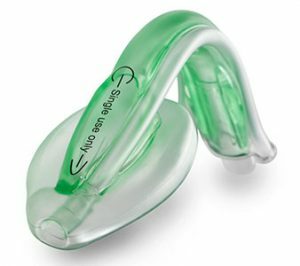 The authors concluded that AMBU® AuraGain™ serves as an effective ventilating aid, but caution is suggested before using it as a conduit for endotracheal intubation. The study has been published in the August 2017 Issue of the Indian Journal of Anaesthesia, the official journal of Indian Society of Anaesthesiologists.